I received an anonymous letter recently. I usually don't give any credibility to anonymous letters. I believe that if you truly believe in what you are writing you will sign your letter thus giving credibility to the issue. Well, this letter was pointing out what the writer believes to be grotesque rule breaking in the Northeast Needlework Judging at Let’s Celebrate Day. I want to encourage everyone to enter every contest in the state but we have rules. It was the opinion of the judges that determined the results of this contest. That’s how a fair and balanced system works. You enter your item for competition and it is judged against other items, sometimes on its own merit, and a winner is declared. I don’t believe we should be living in a society where everyone is a winner. If everyone gets a ribbon or trophy, no one tries to do their best. I have no idea what this entry is. I no who made it. I have no idea of its quality. So I do not want to imply that it was not of good quality because I don’t know. Now to the topic of the title. I have thought long and hard since receiving this letter. I thought it was time that I address the difference between right for the betterment of the event or our organization or being right because according to what our digest or bylaws state. When I hear that a Grange does not meet in the winter because of snow, I would be right to contact that Grange and tell them that they are violating the Digest. Or am I more right by saying that the best interest of our members is what is at hand? When I hear about a Grange that regularly meets around a table in someone’s house, I would be right to contact that Grange and tell them that they are in violation of the Digest for the digest states that every Grange must meet monthly in full form. Or do I acknowledge that these members are meeting in a home because of the high cost of maintaining a Grange during the winter and that it’s in the best interest of that Grange financially to meet in someone’s home. 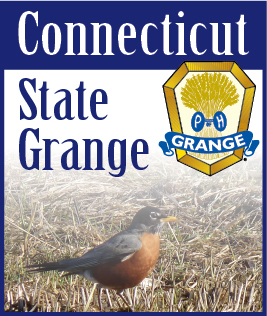 When I receive communication that a Grange is more than two quarters in arrears for dues to the State and National Grange by the Digest I would be right to revoke that Grange’s charter. I Believe that it is better for our organization to work with that Grange and figure out how to get back on track. Everyone who volunteers even a minute of their time to our organization is valued. EVERYONE who invests their blood, sweat and tears in their Grange is valuable. EVERYONE who participates in a program or contest is valuable. When we don’t allow ourselves to understand why and we quickly criticize anonymously it weakens our strength and ability to build a strong and relevant organization. Brothers and sisters I would be dead right to uphold every clause of the Digest and our Bylaws. What kind of organization would we have though? I beg you to consider if you want to be right or if you want to be RIGHT when we approach these kinds of challenges.